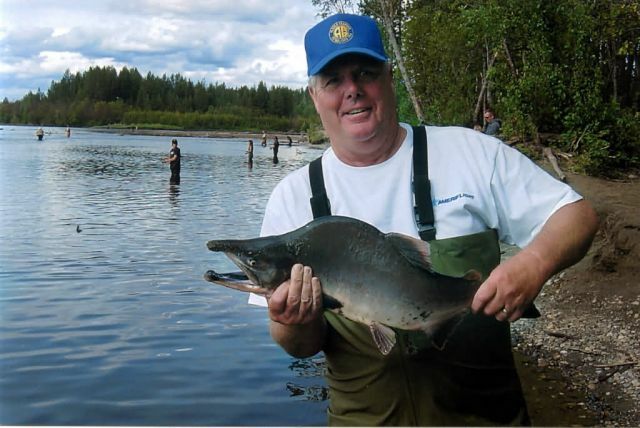 David Warnberg with a nice pink salmon caught in Alexander Creek, Alaska. The pink is also known as the Humpy. You can see where this salmon gets the nickname when you look at this large male specimen. The pink is an aggressive fish and is known for it’s spirited fight when hooked. This salmon is often times fished for with ultra-light gear to test ability of angler and gear.